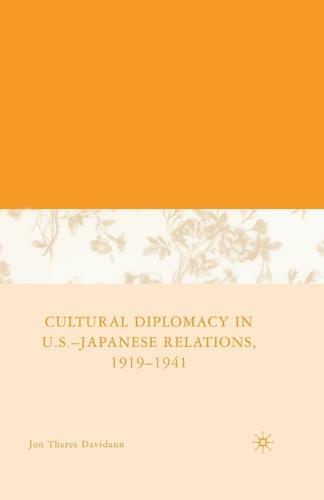 This study explores U.S-Japanese relations in the interwar period to find that the seeds of the Pacific War were sown in the failure of cultural diplomacy and the growth of mutually antagonistic images. While most Americans came to see Japan's modernity as a facade, the Japanese began to group Americans with the warlike European powers. "The focus is on changes over time in public opinion in Japan and the US about each other and the bilateral relationship leading up to 1941 through analysis of the writings of missionaries, intelligentsia, academics, and reporters. Secondarily, the focus is on private diplomacy of these same groups conducted through organizations such as the Institute of Pacific Relations (IPR). On these topics, Davidann makes valuable contributions." "While there exist numerous studies of 'the origins of Pearl Harbor' and of mutual images across the Pacific, this book makes a new contribution by examining how these images influenced one another. No scholar has examined the English-language material in the two countries as thoroughly as Professor Davidann." "Jon Thares Davidann's valuable study of the 'unofficial' side of U.S.-Japan relations during the interwar era offers scholars a deeper understanding of the role played by private citizens and opinion-makers. In a highly readable narrative, Davidann offers a fresh cultural analysis of the gradual breakdown of relations that preceded the Pacific War."